So you can begin the path to restoring your license privileges, give Advanced Auto & Smog a call at 559-734-5684. We will work with you to install your ignition interlock system quickly and accurately. If you're required to install an ignition interlock system in your car, Advanced Auto & Smog can assist you. We'll walk you through the process, explain exactly how the device works, and the effects that it will have on your vehicle. Our installation and testing services will get you back on the road quickly. An ignition interlock system monitors the level of alcohol in a driver's breath before it will allow the vehicle to start. It also requires samples at random intervals while driving to ensure that the person behind the wheel is the one blowing into it. As with any device that is wired into your vehicle's electrical systems, care must be taken to install it correctly so that it doesn't impede the function of any other component of the vehicle. At Advanced Auto & Smog, our qualified and experienced technicians will carefully install your interlock device, ensuring that it fits seamlessly into your car's power systems. We ensure that your device is recording accurately to demonstrate your commitment to move through the ignition interlock program as required by law. 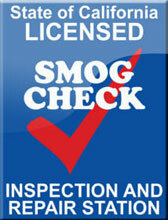 Advanced Auto & Smog performs full calibration and printout services required by CA at very competitive prices. When the time comes to have the ignition interlock system removed, Advanced Auto & Smog can also return your vehicle to its original condition. We'll get you back on the road without the extra costs that come with the system, ensuring your engine's ignition and other power systems are in perfect working order. Call Advanced Auto & Smog at 559-734-5684 to learn more about our ignition interlock services.